The compact 2015 Chevrolet Cruze offers a spacious cabin, an attractive look, and great fuel-efficiency all at a price that makes it easy to live with. Who says low-cost compact cars have to be boring? The Chevy Cruze has all of the functionality and efficiency of a compact sedan while showing off a distinct look inside and out. It also comes with the reliability that Chevy is famous for. With the Chevy Cruze, getting there is part of the fun. 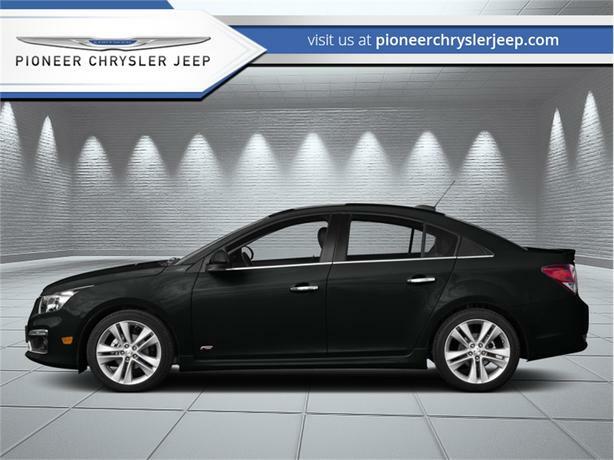 This low mileage sedan has just 18670 kms. It's black in colour. It has a 6 speed manual transmission and is powered by a 138HP 1.4L 4 Cylinder Engine. This vehicle has been upgraded with the following features: Bluetooth, Rear View Camera, Siriusxm. It has some remaining factory warranty for added peace of mind.